This past weekend was spent in the driftless area along the Mississippi River, taking in the bounty of autumn colors and visiting family. My parents have two large granny smith apple trees which even after hours of picking you’d never know an apple left the tree. With the arrival of the darker days, I crave warming foods that will fill my house with pleasant comforting aromas. It’s a fine time for apple crisp. 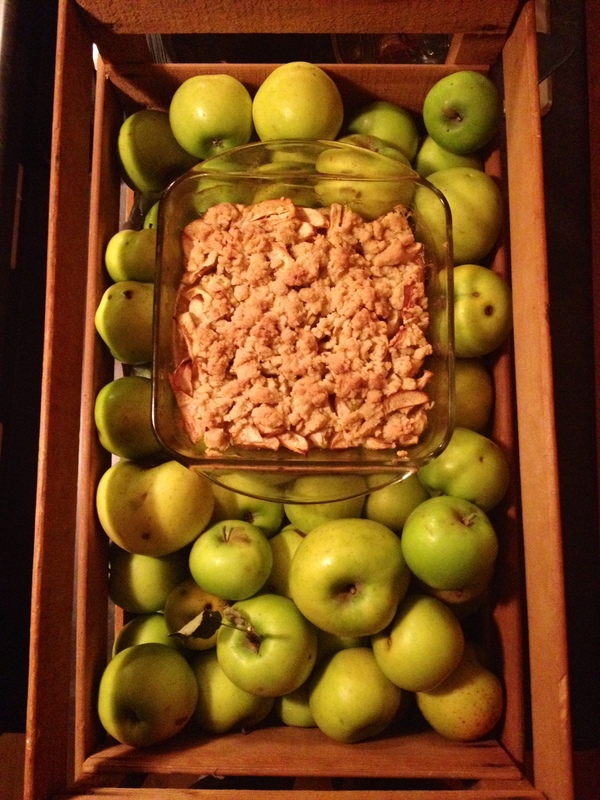 This version is adapted from the three generations of apple crisp makers in my family. In a medium bowl whisk lemon, water and sweet churna, toss in apples. Place in an 8×8 pyrex dish. *Sweet Churna or often called Sweet Spice is an Ayurvedic cooking blend of cinnamon, cardamon, fennel, ginger and nutmeg.